Invention is tricky to understand with all the different components and its difficult to know what combines with what to get something that may help you get a bit more damage in combat or a few useful perks. There are lots of spreadsheets out there and posts but they seem to be written in code most of them so I’ll try to go through from a beginners point of view to help you understand how to start perking your armour and weapons and a suggest few nice ones to add to help start out. The first thing you need to do to your weapon or armour is augment it. You can make an augmentor or buy it on the grand exchange. To make it you need divine energy, base parts, flexible parts, tensile parts, enhancing parts and powerful components. These all take time to get so if you don’t have time or have money then just buy one on the grand exchange. Once you have one just use it on your weapon or armour piece you want to augment and it will turn into an augmented version ready for the next step. So gizmos are things you need to make and on them you can generate perks which then attach to the augmented armour or weapon to provide a bonus. To start with you need to make gizmo shells (you can’t buy them). There is a weapon gizmo shell and an armour gizmo shell, you can also get a tool gizmo shell which I won’t be covering in this post. You make the weapon gizmo shell with blade parts, crafted parts and strong components at the invention bench. You make the armour gizmo shell with deflecting parts, crafted parts and protective parts at the invention bench. Once you have the shells then you can click on them “add materials” to get to the next step. As you can see from the image above, you click or drag the materials onto the five slots to see what possible perks you can get and then can create it if happy. When you click create you will not necessarily get the top one and may have to re-roll it a few times until you get what you want, you can also fail it. If you have enough materials to try again it will let you re-roll on another gizmo shell but it will use a new one, not the previous one. “But how the hell do I know what materials to add for what perks?” I hear you cry. Well that depends what you want to get out! In the next section I give some tips for those who want to add stuff but don’t want to research the full ins and outs of whats available. On an augmented two handed weapon you can add two weapon gizmos, otherwise you can add one gizmo to main hand and one to offhand. Generally I would aim for precise and aftershock perks on weapons if you are after adding extra damage. The pros go for Precise 4 + Equilibrium 2 in one slot and aftershock 3 in the other but you don’t have to get those exact numbers, even aftershock 1 is better than nothing. On armour you can have two gizmos on legs and two on tops. The main ones to aim for are crackling, enhanced devotion, impatient and biting. The pros will go for things like biting 3 which requires nox components and is too expensive for my tastes but you can get biting 2 for nowhere near the cost and is very helpful. Now if you have learnt anything from this I hope it is that perking is worth it and doesn’t have to be expensive. Start with adding a few small cheap perks to get the hang of it and you can easily replace them over time when you get more cash or components. Press “L” to toggle lock/unlock interface in order to drag, resize and re-arrange your UI. Gameplay – make yourself familiar here. A lot of useful settings here. Worth mentioning are area looting & the different skilling options. Interface Settings – toggle slim headers, XP pop-ups, show reset timers and make X progress to mention a few. Controls – customise keyboard and mouse sensitivity, keybinds and toggle camera type. Graphics Settings – graphic settings. Audio Settings – audio settings. Combat Settings – select combat mode and which stats to recieve XP in for the combat styles. Slim headers – what do we need large headers for? Gameplay settings – take a few and make yourself familiar here. Many useful QoL settings. Lock interface when not editing. 1. Start out by resetting your current UI by going to the main menu (ESC) then go to “Quick Load Layout” and select “Retro”. 2. Resize the game window so it is exactly as you would like it. Personally I have my game window occupying 70% of my screen. Ignore this if you play on fullscreen. 3. Main menu then “Edit Mode” then “3D World Editing”. Resize your “Game View” to something like this. (we will get back to this later). 4. Now open everything you want accessible at all times while playing RuneScape. It will look messy at first don’t worry – we will make this look good. 5. Play around with the placement and sizes of your interfaces boxes. This may take some time and you may have to change the “Game View” several times. 6. Main menu then “Edit Mode” then “Gameplay HUDs Editing”. Change the placement and sizes of the different HUDs. 7. Congratulations with your new interface! 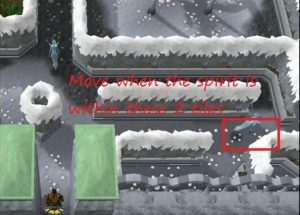 If your gameplay is stuttering go to “Controls” then check that your camera type is set to RS3. Ancestral Energy can be converted to another resource. Sold by Boni, who can be found on Waiko next to the bank.